Many organisations are still trying to build a business case for contract management internally. Spend Recovery Audits - Can you afford to ignore them? Spend Recovery audits are a hot topic across central government at the moment with Francis Maude requiring all departments to have completed a review by the end of the calendar year. However, this is something that should be considered across all sectors. As well as delivering almost immediate value, the recovered monies can be used to fund investment in procurement technologies, which can drive additional and longer term savings strategies. So why would spend recovery, normally associated with finance or audit, be linked to procurement? I’d like to think I am on-top of our household spending.... I know to the penny how much the Mortgage, Council Tax and Gas costs each month, however I recently changed Mortgage product and as part of the simple online application I had to list the expenditure of our household....” Easy” I thought and quickly listed the figures I was certain of, although to my surprise there were many that I had to look up. When I read through my bank statement it became apparent that a significant number were a revelation! For many organisations, procurement functions undergo numerous transitions over their lifespan. Purchasing may originate reactively or tactically through stock purchasing rooms and localised buying, but as the procurement organisation matures the driver swiftly becomes 'strategic sourcing' from the centre, identifying the best innovations from the supply-base, leveraging economies of scale. The discussion regarding whether or not procurement is the right fit to own contract management was certainly a lively one. Let’s push that aside, and discuss why contract management really matters, no matter who takes charge. 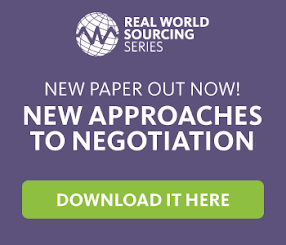 There’s not a lot of debate about the value strategic sourcing plays in driving cost-savings. Best-in-class sourcing organisations, talked it about in our recent blog, use strategic sourcing to drive almost 12% in year-over-year cost reductions, vs. others who average just over 3%.